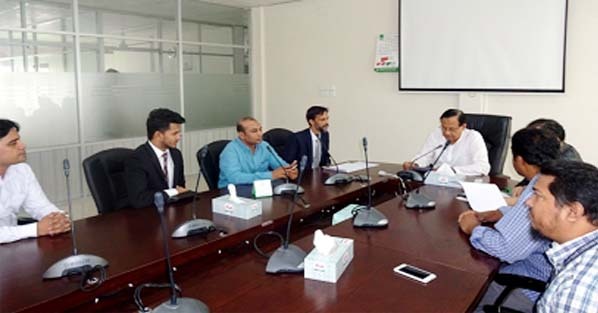 Hamdard University Bangladesh (HUB) and the New Horizons Computer Learning Centers of Bangladesh have signed a Memorandum of Understanding (MoU) in the permanent campus of Hamdard University Bangladesh, Hamdard Nagar, Gazaria, Munshiganj recently. On behalf of the HUB, Registrar Md. Nurul Huda and on behalf of the New Horizons Computer Learning Centers of Bangladesh, Manager Apel Mahmud signed the MoU while the Vice Chancellor of the University Prof Md. Abdul Mannan PhD; Head of CSE Department; Asst. Prof Engr Md. Monowar Hossain and Lecturer Md. Shahidul Islam were present. The New Horizons Computer Learning Centers will conduct the various training programs on Web Design and Development and Networking.